Avi Gabbay praises settlement enterprise, lauds settlers as the 'pioneers of our generation'. Labor chief Avi Gabbay crossed party lines Thursday, issuing a pre-recorded video statement praising the "settlement enterprise" in Judea and Samaria, calling it ‘the beautiful face of Zionism’. 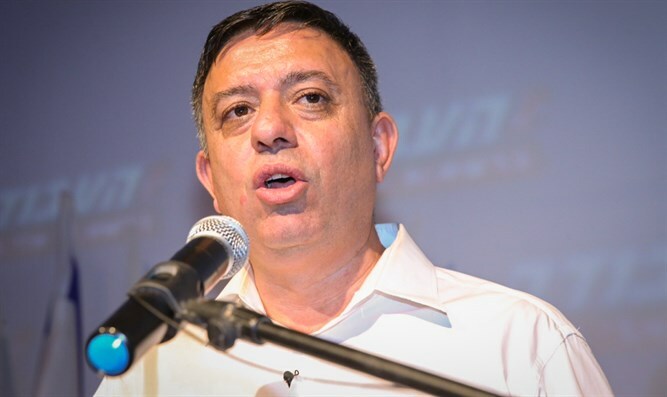 Earlier this week, Gabbay signaled his intention to moderate the Labor party’s position vis-à-vis Israeli towns in Judea and Samaria, disavowing plans to evacuate Jewish residents even if Israel reached a final status agreement with the Palestinian Authority. The comments mark a reversal of the party’s decades-old support for the evacuation of Jewish towns across Judea and Samaria as part of a comprehensive final status agreement with the PA, signaling a possible return to the party's positions before it swung sharply to the left. A day later, following criticism of his comments by some in the party, Gabbay doubled-down on his position, and expressed support for the settlement movement - even as he continued to back Palestinian statehood. "I believe that the Land of Israel belongs to the Jews. God promised Abraham the entire Land of Israel, but I also believe that since there are 4.5 million Arabs here, we have to compromise in order to create a situation in which we live in our country with a Jewish majority". The number of Arabs in Judea and Samaria is in reality closer to 2.5 million. "I want a Palestinian state for our own benefit, I don't care about the rights of the Palestinians," Gabbay added. Ahead of a ceremony marking the 50th anniversary of the liberation of the Jordan Valley, Gabbay recorded a video message intended for the ceremony, lauding Jews living in Judea and Samaria as latter day Zionist pioneers. While the video message was not played during the ceremony, leading one Labor MK to walk out of the event in protest, portions of the message were played on Army Radio Thursday night. “The "settlement enterprise" was and is the beautiful and dedicated face of Zionism,” Gabbay said.